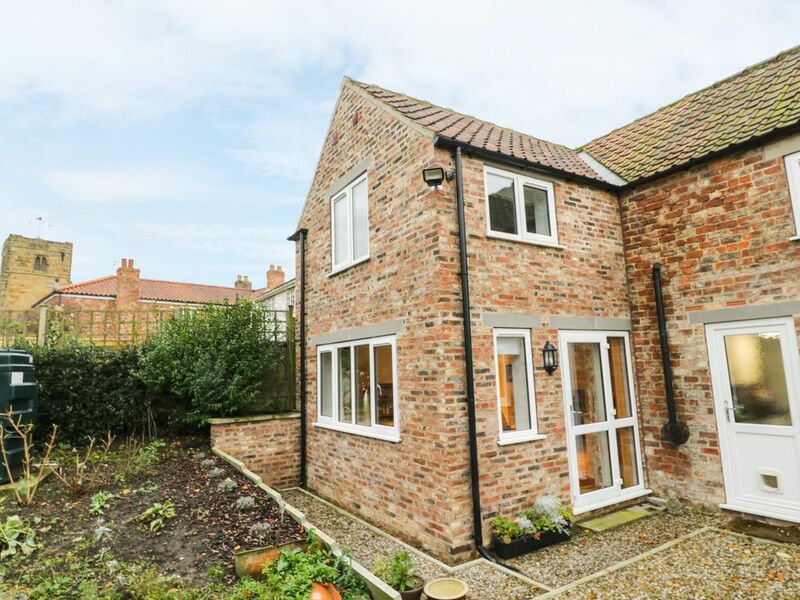 An annexe cottage in the village of Husthwaite in North Yorkshire that can sleep two people in one bedroom. Sunnyside Garden Cottage is an annexe cottage situated in the North Yorkshire village of Husthwaite. It has a super king-size zip/link bedroom with an en-suite shower room, the property can sleep two people. Also inside there is an open-plan living area with a kitchen, dining area and a sitting area. To the outside there is ample off road parking and a shared lawn. Sunnyside Garden Cottage is a homely cottage in a beautiful area of Yorkshire to be enjoyed at any time of the year. Amenities: Oil central heating. Electric oven, ceramic hob, microwave, fridge, Smart TV with Freeview, WiFi, selection of books. Fuel and power inc. in rent. Bed linen and towels inc. in rent. Ample off road parking. Shared lawned garden. One well-behaved pet welcome. Sorry, no smoking. Shop 3.5 miles, pub 5 minute walk. Town: The village of Husthwaite lies on the edge of the North York Moors National Park, overlooking the Vale of York. The village has a Norman church, old houses and a village hall hosting events. The market town of Easingwold is nearby, boasting a market square and a selection of shops, pubs and cafés. York is also a short drive away. The Yorkshire Dales and the North York Moors and Coast are within distance and are rich in stately homes and National Trust attractions - Harewood House and Castle Howard are just two of several within an hour's drive. One twin bedroom (can be pushed together to make super king-size double) with en-suite shower, basin and WC. Open plan living area with kitchen, dining area and sitting area. Oil central heating. Electric oven, ceramic hob, microwave, fridge, Smart TV with Freeview, WiFi, selection of books. Fuel and power inc. in rent. Bed linen and towels inc. in rent. Ample off road parking. Shared lawned garden. One well-behaved pet welcome. Sorry, no smoking. Shop 3.5 miles, pub 5 minute walk. Wonderful area, perfect for a base to tour from. Quite village. Property well equipped, owner very helpful, will definitely return.